Nason Construction contacted All Noise Control to improve patient privacy, they were looking for ways to reduce noise traveling above ceilings from room to room in a health care facility they were working on. The customer had a ceiling tiles in place and after receiving all the information and sizes of the area, All Noise Control provided a solution using ANC-CTBF Acoustical Ceiling tile Barriers Melamine, clas 1 fire rated foam 1′ thick bonded to a 1/8″ thick 1# vinyl barrier which lay above existing ceiling tiles. The customer placed the order, installed the products and are very pleased with the results. 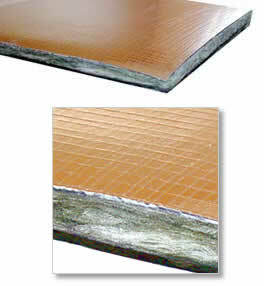 Installation Instructions: This high STC Ceiling Tile Barrier is a an effective means to block sound transmission. The Ceiling Tile Barrier is placed behind any installed ceiling tile. This is a cost-effective solution to block sound transmission between offices and rooms.